With Halloween around the corner many people are beginning to think about what kind of costume or illusion they want to create for the big day! Some of the more elaborate costumes may involve wearing some type of contact lens to complete the outfit and or give that unworldly appearance a big boost. So where do you begin? What do you need to know before getting your contacts? There are a few really important things to consider, after all this is going on your eye, and no one wants to end up with permanent vision issues from a night of fun. The first and most important thing you should do is see your eye doctor, even if your contacts do not have a prescription in them, there are still factors you may not be aware of. 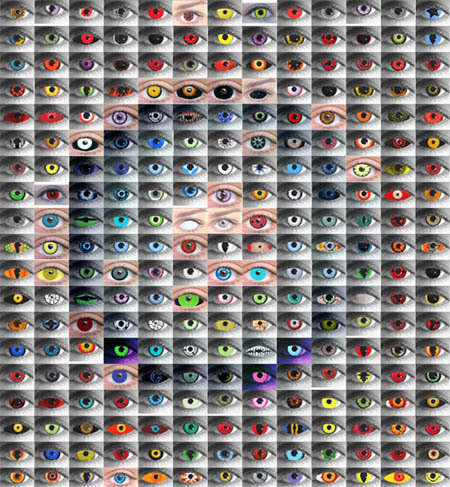 Eyes are very unique, like finger prints, they come in different sizes and curvatures and so do contact lenses. If the contact lens fits the eye too tightly or loosely it can cause damage to the cornea (the front surface of the eye) which could result in permanent vision issues, worse case scenario is corneal transplant or even blindness. There are also correct ways of getting them on and off your eye, without the proper training and education you could be doing major damage to your eyes and your contact lenses. You also need to know how to clean and store your contacts properly to ensure you don’t get infections of the eye, or rip your contact lenses. There are many types of contact lenses available today, made in many types of materials, some better than others for your eyes. Your Optometrist can discuss all the options with you and help you to make your Halloween costume the hit of the party while keeping your eyes safe! Once again, Summer is coming to a close and children are getting ready to head back to school for another year of education and learning. How can we, as parents, best prepare our children for the academic challenges of the school year ahead? Aside from having all the usual back to school paraphernalia; back packs, note books, organizers, calculators and pencils, don’t we owe it to our kids to make sure their vision is the best that it could be? What’s most interesting is that 50% of our brain’s processing power is devoted to seeing and vision. It is a well know fact that 80% of all we learn is VISUAL, and if a child has a vision deficits they could be falling behind the learning curve. The Vision Counsel of America reports that 1 in every 4 children has a vision problem that can interfere with learning and behavior. Another study shows a whopping 85% of America’s pre-schoolers haven’t received a vision exam by age five. And a pre-kindergarten exam is a must (don’t assume school-offered vision screenings are enough). Studies also show that 60% of students identified as problem learners have undetected vision troubles. There are many types of vision issues that a typical pediatric screening will not address or find. The only way to be sure that your child vision is working it’s best is to have a comprehensive eye exam with an Optometrist. 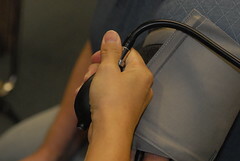 Aside from looking at refractive issues of the eye (the prescription), an Optometrist will assess how the eyes work together, look closely at all the internal structures of the eye and their function, check for color blindness issues (1 in 10 males have some form of color blindness), and assess peripheral vision. Lazy eye, is the most common cause of visual impairment in childhood and if caught early can most times be corrected. 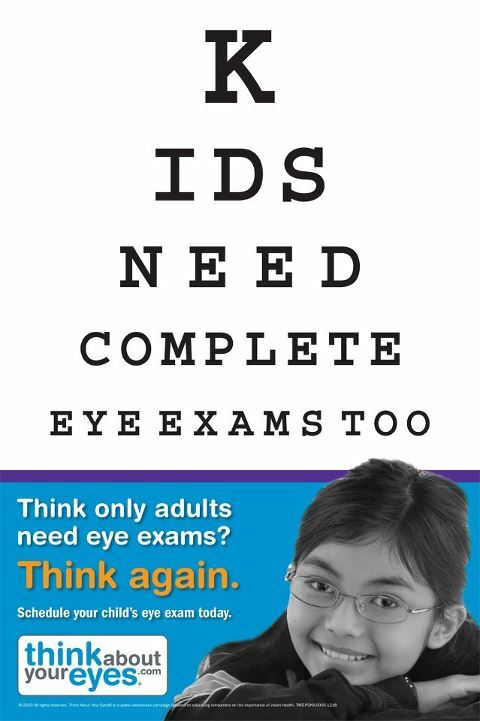 The good news is that annual eye exams can protect your child’s vision, their overall health and their education. Your child does not have the ability to understand or describe vision problems. If they have never experienced what good vision is, how can they know the difference? Have peace of mind about your child’s vision this new school year by getting them in for a comprehensive eye exam with your local Optometrist! Here in the height of summer, with the warm temperatures and a plethora of sunny days, I have noticed an increase of people coming in to see me with eyewear and sunwear issues caused by prolonged exposure to the sun and heat especially when left in cars. 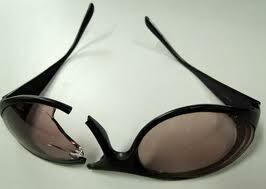 Most of us will keep a pair of back up glasses and more commonly our sunglasses in our cars. With the warmer than normal temperatures that the entire country has been experiencing this year, it has caused eyeglass lenses to craze, crackle or delaminate and plastic frames to melt to the point of being ruined. It can make the best anti-glare look like crackle coating in a matter of hours with exposure to extreme heat. The reason is that the excessive heat will cause the lens material to expand much more than is normal and when it begins to cool any coating or lens treatments on the lens will contract down to normal size and crackle making your viewing experience less than perfect. On an 85 degree day, your car can achieve internal temperatures as high as 150 degrees in less than a couple of hours! It’s no wonder that plastic eyewear frames will become melted, then become brittle and break after prolonged exposure in these kinds of temperatures. Keeping your eyewear in a case or compartment will not protect them from super heating either, over time they will show signs of heat damage. The best rule of thumb for the hottest days of summer is to bring your prescription eyewear inside with you, especially if it has anti-glare on the lenses or if the frame is plastic. Melted glasses; aside from being costly to replace, it’s annoying to look through crackled lenses, not to mention being uncomfortable wearing a warped frame. Be kind to your eyewear and keep them inside during those dog days of summer! 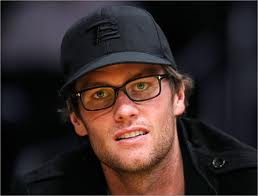 As many of you have probably noticed lately, whether you see it on TV, in Hollywood, within the music industry and even in professional sports; there is a definite trend towards the vintage look in eyewear today. Common place 60’s styles like the aviator, cat eye and wayfarer are reborn again for the modern fashion market made in vivid colors, given cleaner lines or made chunky for the ever popular “Geek Chic” look. Whether you are a Baby Boomer who loves them for the nostalgia of our youth, Gen X, or Gen Y who want that cool, new, bold fashion statement for their wardrobe. All age groups seem to find something appealing about vintage! While it might seem logical to blame the deteriorating eyesight of the aging baby boomer or the ever increasing computer and smartphone induced strain on our eyes, consumer behavior statistics don’t show a jump in the number of people who need prescriptions. What they do show is an increase in the number of people who wear glasses without prescription lenses — presumably to look cool. As we look forward to the fall and winter, fashion trends continue to model chunky, color blocked, bolder, “look at me” styles. 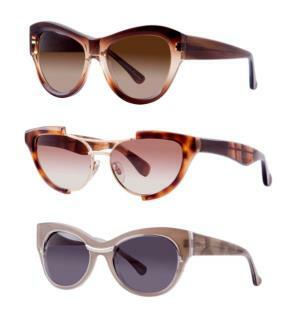 Everything from rich tortoise shell to colorful patterned eyewear, fun and flirty, and attention getting. The colour trends for fall 2012 aren’t all cloudy greys or cheerless blues. If the colour trend predictions are anything to go by, our wardrobes will be filled with traditional fall tones punctuated by optimistic pops of bright colour. Hot colors for this fall and winter in clothing and accessories will be; honey gold, pink flambe, tangerine, ultramarine green, chartreuse, olympian blue, titanium, rose smoke, french roast brown according to Pantone. 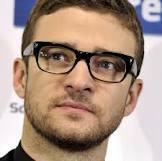 This year you are probably seeing and hearing a lot about protecting your eyes from the damaging effects of UV light. There is a hugh national campaign going on right now explaining the importance of protecting your eyes from these damaging rays. Most of the time we don’t even realize the damaging effects of UV radiation as it is invisible to the eye. However, out of sight should not mean out of mind when it comes to UV radiation. This is why you should make sure you and your family always wears sunglasses that filter UVA and UVB rays while spending time outdoors during the day. This is especially true for children, since their eyes allow more light in than an adults, and studies have shown that 80% of all UV damage done to the eyes is done between the ages of birth and 18 years. UV-A: which can hurt your central vision by damaging the macula, which is a part of the retina that is responsible for high acuity vision. UV-B: the cornea and lens in the front part of your eye absorbs most of the UV-B rays, but these rays may cause even more damage than the UV-A rays. Almost 50% of parents report that their children “seldom” or “never” wear sunglasses with 100% UV protection. Although 82% of parents feel it is important for children to wear sunglasses and 91% feel sunscreen should be worn, children are two times more likely to wear sunscreen than they are sunglasses. The lens in a child’s eye does not block as much UV radiation as in an adult’s eye, putting them at increased risk for sun damage to the eyes. Adults also need to take precaution when they are in the sun. 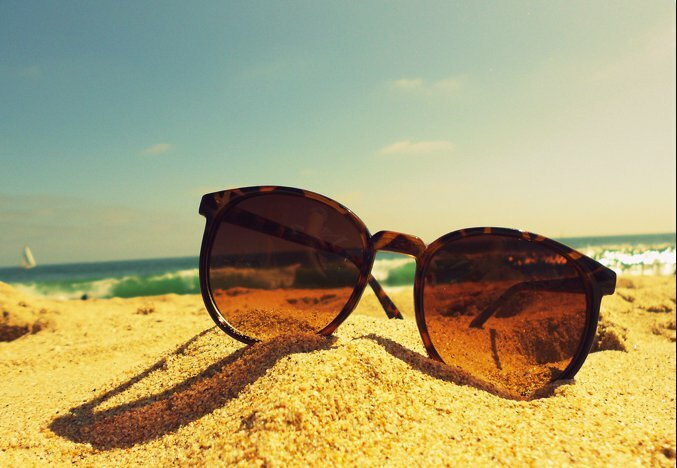 Before you go out without a pair of sunglasses again take note of the facts about UV damage. Certain medications, such as birth control pills, sulfa drugs, diuretics and tranquilizers can increase your risk to eye disease or impairment. Damage can include blurred vision, change in color vision or difficulty seeing at night. What eye issues can UV rays cause? 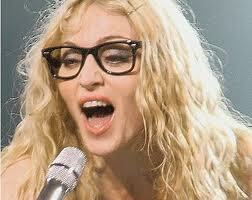 Macular Degeneration which is the leading cause of vision loss in older Americans. Cataracts especially UV-B rays can cloud the eye’s natural lens, the part of the eye that focuses the light we see. Pterygium a growth that begins forming on the whites of the eye and may also involve the cornea. Eventually, the growth may block vision. This is more common in people who work outside in the sun and wind. Skin Cancer the skin around the eyes is very sensitive and is more prone to skin cancer with prolonged UV exposure. Corneal Sunburn also called photokeratitis, it is the result of high short term exposure to UV-B rays. Long hours at the beach, skiing without protection, using tanning beds without goggles, can cause this problem. It can be very painful and may even cause temporary vision loss. Protecting yourself and your children from the effect of UV rays on your eyes is easy! Wearing sunglasses or goggles that filter UVA and UVB rays is the best way to shield your eyes from the sun as well as dirt, dust and other particles that can irritate the eyes. 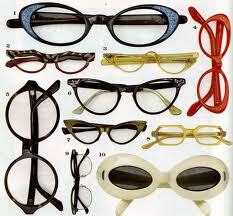 Your local family optician can assist you in finding a pair of sunglasses to fit your vision needs and your lifestyle! There are clear lenses that darken when you go outdoors. There are sunglasses that are polarized and block the glare. Never before have everyday eyeglass lenses been able to both darken and polarize in bright, outdoor light and stay clear indoors until now. Transitions recently announced that they have a revolutionary new lens hitting the optical marketplace on May 1st called the Transitions Vantage lenses. The folks at Transitions took the lenses you already know and love and added variable polarization that increases as the lenses get darker. As Transition Vantage lenses get darker, vision gets crisper, sharper and more vivid, while glare is reduced in even the brightest outdoor conditions. Color contrast and perception becomes richer, vibrant and more vivid giving you clearer vision and great depth perception. You almost have to see it to believe it! Transitions Adaptive lenses are now available in many lens styles, and formats and made in several different materials with more coming very soon. 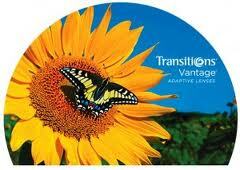 To see this amazing new product technology from Transitions come visit us at Family Eye Health. Working with eyewear everyday is more fun and challenging than one might think. Just trying to keep current with all of the new products flooding the optical marketplace is mind boggling. As consumers, we have more treatments and options to customize your eyewear like never before! I would like to touch off on several brand new products you may have never heard of, but I feel they are noteworthy and can truly enhance your eyewear experience by giving the best vision possible. The first product I would like to introduce is called Optifog. Optifog comes from the Varilux family of products and can be added to your Crizal anti reflective treatment or TD2 hard coat for the best anti fogging treatment available today. Those of us here in the northeast can attest, winter can be problematic with lenses fogging when you go between warm and cold environments. Foggy lenses can cause vision impairment that can lead to accidents. We have all had those “foggy moments” with our sunglasses too, when we are hard at work, playing sports, or just enjoying the great outdoors. Optifog can be used on sunwear, prescription ski and swim goggles, as well as our everyday glasses to give fog free vision . Optifog is a two part system; part one is the anti fogging property of the lens that is incorporated with the hard coat or anti reflective treatment, and part two is a drop of activator (which comes with the new lenses) that deep cleans the lens and keeps the lenses fog free up to one week or until it is washed off the lenses. This product works well and is recommended for people who work in the food service industry, sports enthusiasts, elderly people, people who live in cooler climates, firefighters, or anyone who hates fogging lenses. The cost is about $30 – $40 more depending on lens type and must be coupled with Crizal anti glare or TD2 hard coats. Optifog is also compatible with Transitions lenses, polarized lenses and is available on most Varilux branded products. To see a demonstration on how this new technology works or to get more product information, come in and visit us at Family Eye Health. 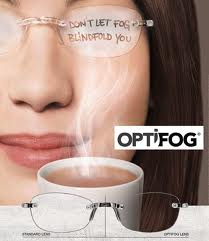 Optifog is running a series of “foggy moment” commercials right now on television. Follow the link below to see these humorous situations that fogging lenses can get us into. Which one did you like best? We would love to hear your comments! The world has been transformed by digital communications. Our fingers have become the mouse, which causes these devices to be held closer. During the day the constant texting, emailing, web surfing, gaming and social networking can cause excessive stress on the . 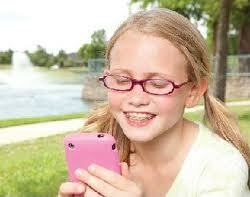 Even children are experiencing eye strain due to their increased usage of mobile and hand held gaming devices. Our eyes are now compensating and accommodating for near work most of the day, placing a higher demand on focusing and reducing the blink rate. Our eyes have difficulty focusing on back lit surfaces of hand held devices causing them to have to constantly focus and refocus. This causes eye muscle fatigue. Blinking is substantially effected being reduced from 18 blinks per minute when we are veiwing things in the distance, to 6 blinks per minute when using hand held devices. The reduced blink rate combined with constant focusing and refocusing, causes digital vision eyestrain. For those people with smart phones that are looking for a solution for their eyestrain and fatigue issues caused by the exhausting demand of continuallly focusing on back lit screens, small fonts, and near distances; there is an answer! Sync Lenses have been designed to naturally support the exacting variable distance focusing demends placed on the eyes to provide more relaxed vision in all directions and at all distances. They provide needed assistance to the eye while constantly focusing and refocusing to intermediate and near distances to handle the detail work or “gadget time”. Clear vision without any extra effort! Sound good to you? You can contact me if you have any questions about this product at: glasseslady1999@yahoo.com, or come in to visit me at Family Eye Health at 220 Sabattus St. Lewiston, Me. Monday through Friday. In an age of ever growing use of technology by children, specifically LCD flat screens, children are at risk for some of the same sight issues as adults, as well as some unique to children. Today, kids are spending countless hours on social media sites like Facebook, Twitter and texting, and, of course, gaming. With all this screen face time comes an ever-increasing chance of eyestrain and fatigue. Kids, unlike adults, have a different perspective about using technology and can sit staring at screens big and small for hours, ignoring the signs of eye fatigue and eye strain in order to continue participating in an activity, which they find entertaining. The problem with continuous game play is that it can cause eye-focusing problems, which involves the eyes focusing and re-focusing. More specifically, being able to smoothly re-focus from one object to another even after a child has stopped playing for some time. Other eye situations kids are more likely to tolerate are dry eyes from infrequent blinking, screen glare, and near and far sightedness. The AOA suggests an eye exam as a good first step in determining if there are any underlying eye conditions, which may be contributing to eyestrain, such as the need for glasses. Also, building in break times, kids will continue to do what they are doing if it is entertaining, and forget to give their eyes a much needed rest. Getting them away from the screen every hour is a good rule in helping to reduce eye-refocusing problems. Another point to remember is today kids are using screens more at school and passing these helpful ideas on to your kid’s teacher may earn you a gold star!